Kathy Griffin might be the worst person in Hollywood. Each day she fights to stay relevant by slamming Republicans. Now Griffin just sent a vile attack on a conservative for one statement about Michelle Obama. The Democrats refuse to believe it. Two years later, they’re still trying to undo the 2016 election. Democrats believe they know what’s best and they don’t care who disagrees. That’s why they have no qualms about undermining the will of the people. The left will break any code. One of those codes is the idea that the outgoing president fades into the background. He shouldn’t meddle with the current president’s agenda. But leftists have zero respect for rules. Barack Obama was more than willing to come back and help resist Trump. First, he and Michelle inked a big deal with Netflix to make political content. That gives them a huge megaphone to influence culture. Michelle even partnered with Hollywood celebrities to drum up support for Democrats in the midterms. Obama then took a shot at Trump during John McCain’s funeral. Next, Obama gave a speech where he took credit for the economy. Obama taking credit for the economy is a joke. Because of Obama’s big-government policies, the economy saw one of the slowest recoveries ever. After a recession, the economy often recovers in 18 months. Under Obama, the recovery took over six years. Big taxes and heavy regulation don’t make an economy thrive. And the country is experiencing growth rates many said wouldn’t happen. Obama also had many foreign policy blunders. Benghazi happened on his watch. His intervention in Libya led to the rebirth of the slave trade in that country. He also brokered the awful Iran nuclear deal. These are just some of the problems that plagued Obama’s era. But Michelle Obama ignored these failures and said America “had” a great president. So it’s no wonder Fox News contributor Tomi Lahren took to twitter to call out Michelle. Lahren’s tweet angered alleged comedienne Kathy Griffin. Griffin might be the poster child for TDS. She did a photo shoot holding Trump’s bloody, severed head. 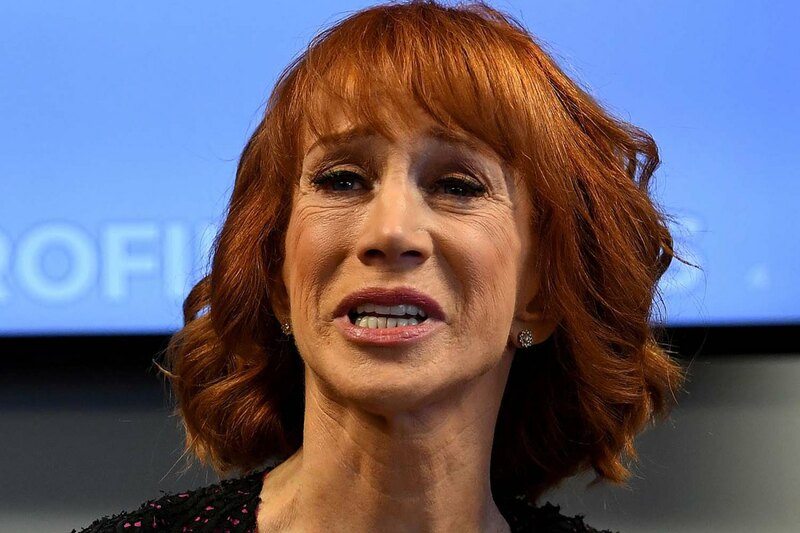 Griffin was immediately ripped and fired from her CNN gig. But Democrats don’t have to pay a price for their behavior. Griffin got back into Hollywood’s good graces by ripping Trump. She even rescinded her insincere apology about the severed head stunt. This coming from a woman who held up a bloody Trump head for laughs. This is the woman lecturing someone else about propriety. The left has gone insane. Leftism is their religion, and the Obamas have been deified. How dare anyone question the “perfection” of the Obama presidency?